This delightful silver-plated model of a sea lion conceals a wine cooler within, making it both a piece of sculpture and a practical object of exquisite design. 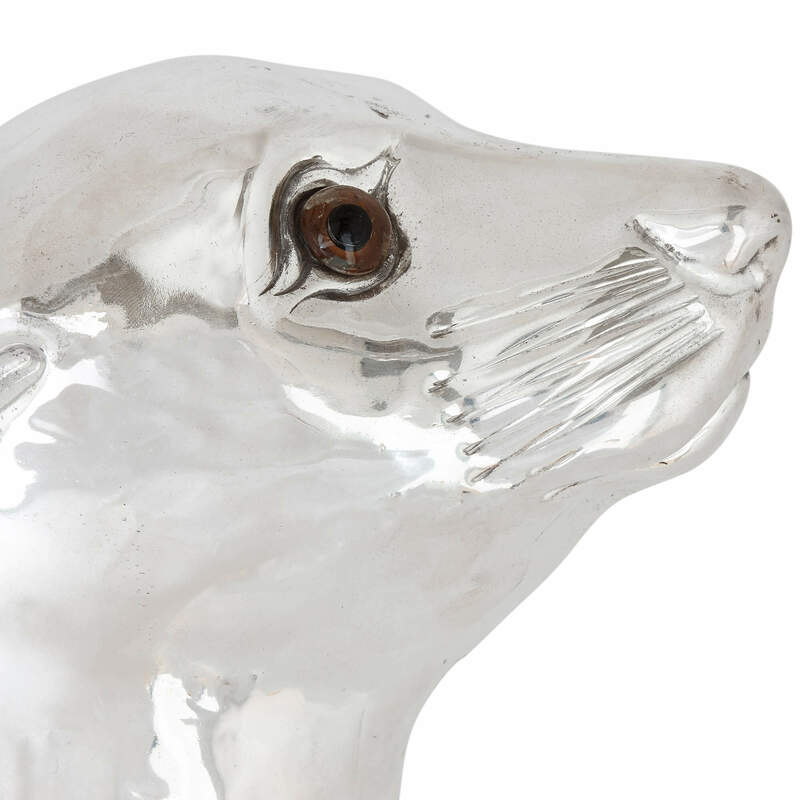 The wine cooler is crafted entirely of gleaming silver-plate and is designed in the form of a sea lion. 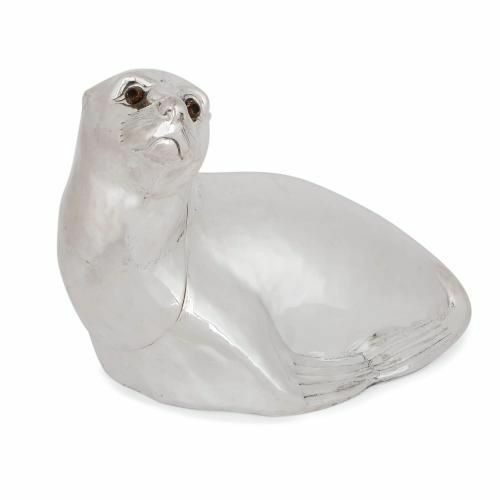 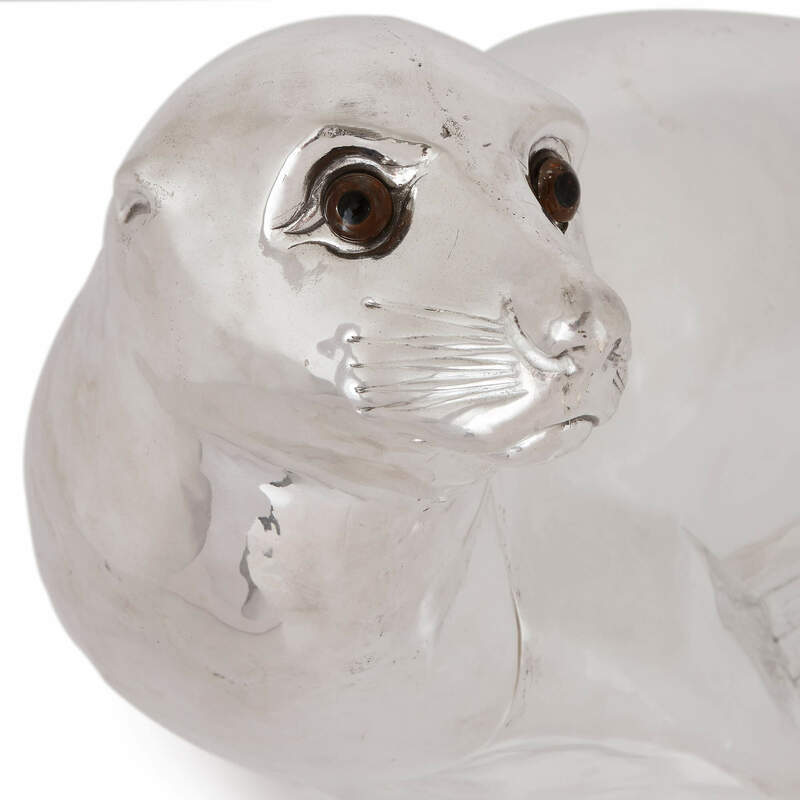 The silver-plate makes for a beautiful material with which to render the shiny, slick fur of the sea lion, which is depicted in a sitting pose and set with glass eyes. 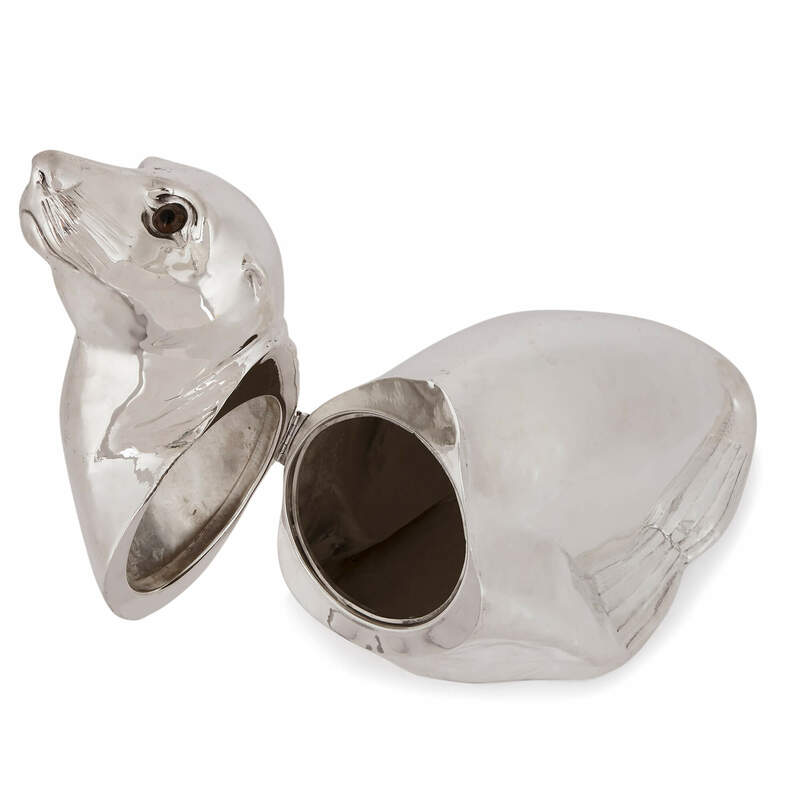 The neck of the sea lion is hinged, with the head opening to reveal the disguised interior wine cooler. 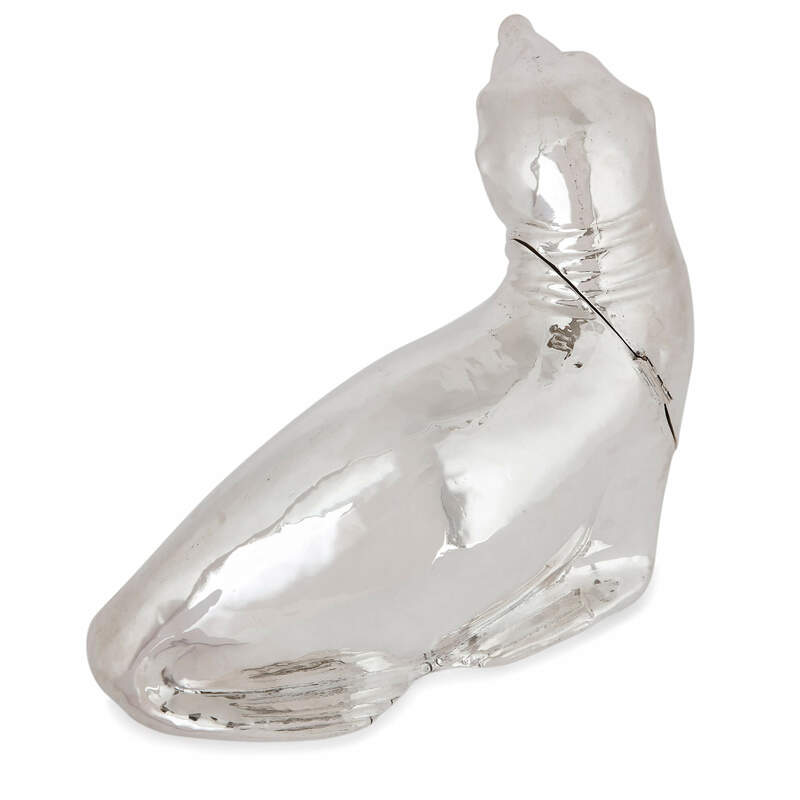 This piece would make both a decorative and practical addition to any sideboard or dining table.